How many times has this happened to you? You get a rocking haircut — looking sharp — only to find that a couple of weeks later your haircut is in tact but the back of your neck has developed some “in-between haircut” stubble. 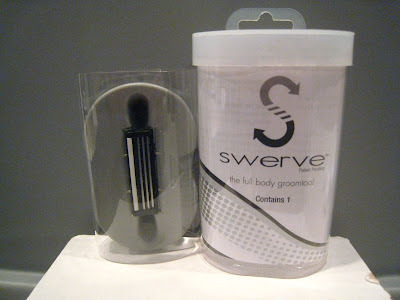 Hello The Swerve™ — a very cool grooming tool designed to keep your neck smooth and stubble-free. 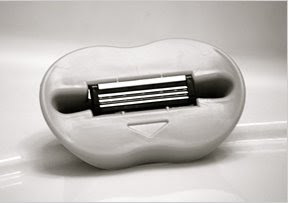 It's ergonomic plastic contoured design gives you the control and comfort you need to extend your shave to hard to reach areas including the back of your neck and upper body. Check it at www.theswerve.com. 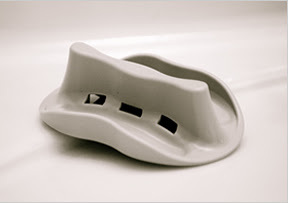 Try to get past the caveman back and odd shaped hands that are featured in this video and see how The Swerve works. if it works, i'd love this. It works! It's a handy little gadget and easier to use than a regular razor. No shave cream needed. That swerve thing is amazing. Thanks for the post!